Inspire hours of imaginative play with LEGO Brand Toy Story™ toys. Featuring build-your-own Toy Story figures, sets and collectibles from the original film, plus one-of-a-kind accessories and LEGO Brand Toy Story 3™ toys for kids of all ages, they can recreate scenes from the movies or design their own adventures virtually anywhere. Whether their favorite Toy Story characters are Woody and Buzz Lightyear, Jessie or even Little Green Alien, our exciting collection will help them bring their own unique stories and ideas to life. This is a BRAND NEW LEGO® Toy Story Minifigure© Green Army Man with green rifle. This minifigure© was only handled during sorting and repacking of it into its own mini resealable bag. Please note, there maybe very minor (if any) scratches on the LEGO® pieces from storage and sorting. You are looking at a BRAND NEW LEGO Toy Story Minifigure® Buzz Lightyear with Dirt Stains from set #7599. This minifigure® was only handled during sorting and repacking of it into its own mini resealable bag. Please note, there maybe very minor (if any) scratches on the LEGO pieces from storage and sorting. You are looking at a BRAND NEW LEGO Toy Story Minifigure® Jessie with Dirt Stains from set #7599. This minifigure® was only handled during sorting and repacking of it into its own mini resealable bag. Please note, there maybe very minor (if any) scratches on the LEGO pieces from storage and sorting. You are looking at a BRAND NEW LEGO Toy Story Minifigure® Rex. This minifigure® was only handled during sorting and repacking of it into its own mini resealable bag. Please note, there maybe very minor (if any) scratches on the LEGO pieces from storage and sorting. You are looking at a BRAND NEW LEGO Toy Story Minifigure® Jessie (TOY008). This minifigure® was only handled during sorting and repacking of it into its own mini resealable bag. Please note, there maybe very minor (if any) scratches on the LEGO pieces from storage and sorting. 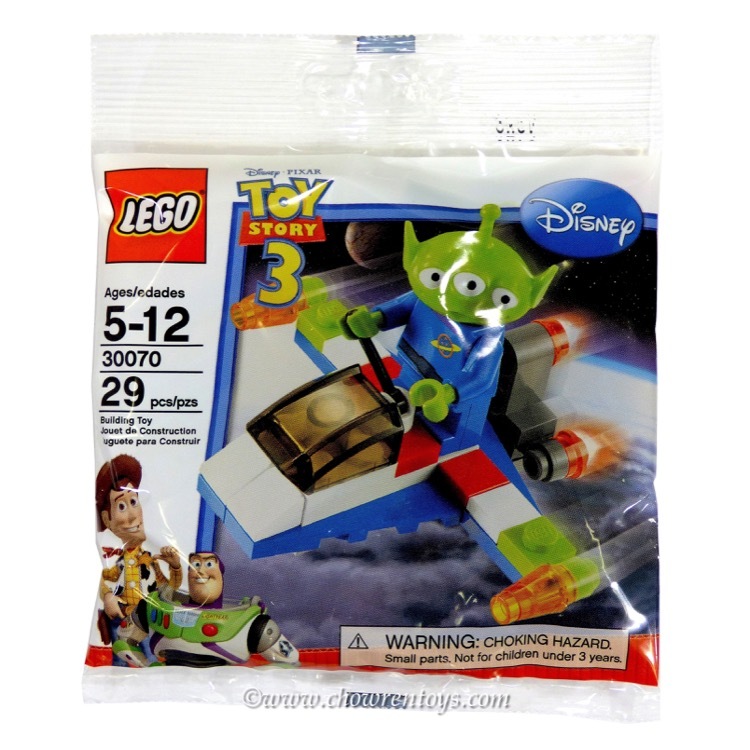 This is a BRAND NEW polybag set of LEGO® Disney Toy Story 30070 Alien Space Ship from 2010. This polybag set is still factory sealed and is in very good condition. 29 pieces and 1 minifigure©. 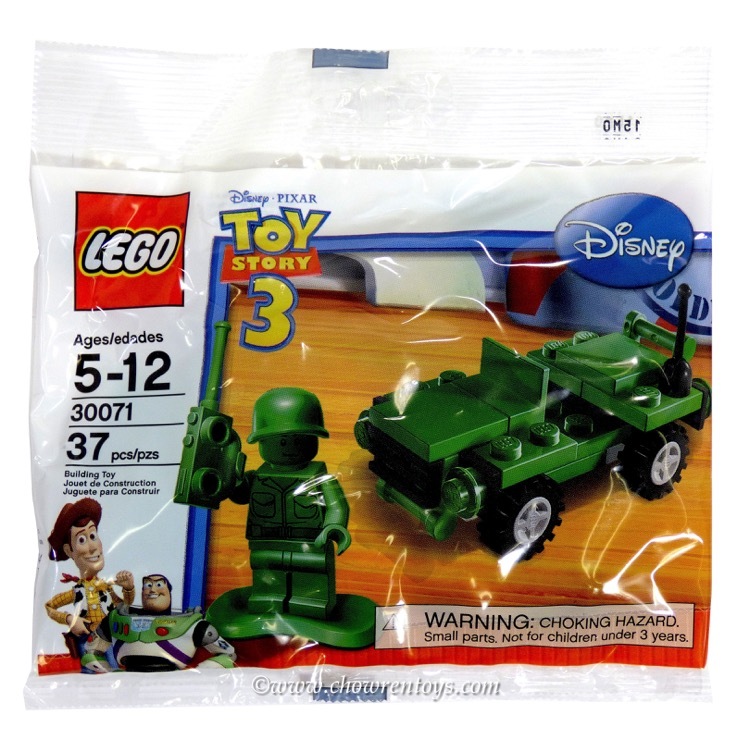 This is a BRAND NEW polybag set of LEGO® Disney Toy Story 30071 Army Jeep from 2010. This polybag set is still factory sealed and is in very good condition. 37 pieces and 1 minifigure©. 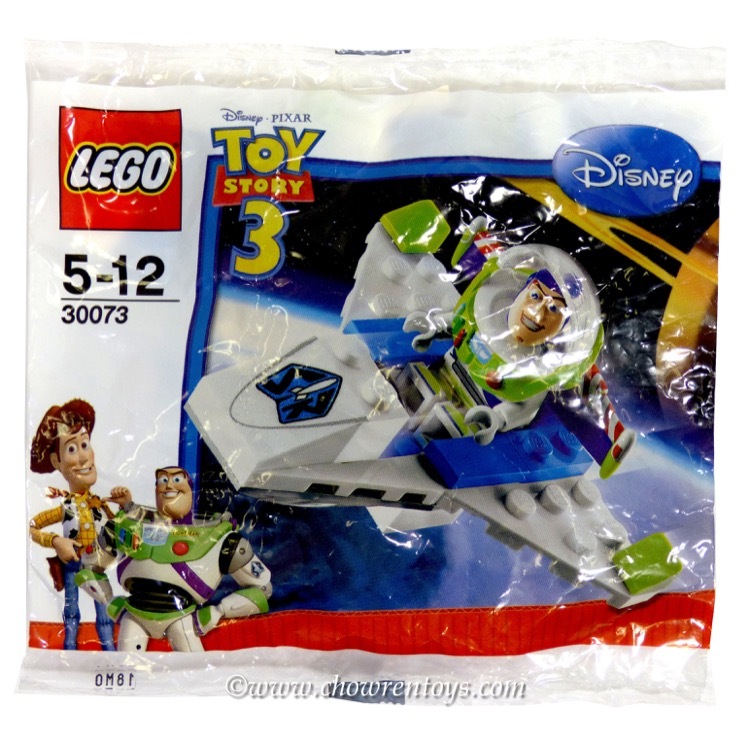 This is a BRAND NEW polybag set of LEGO® Disney Toy Story 30073 Buzz's Mini Ship from 2010. This polybag set is still factory sealed and is in very good condition. 23 pieces and 1 minifigure©.